The Denecke TS-3 Time Code Slate features an internal Syncbox Time Code Generator and jams automatically to all standard frame rates when time is set. It has a colored clapper, backlit display, and allows logging for the previous 16 time code claps. 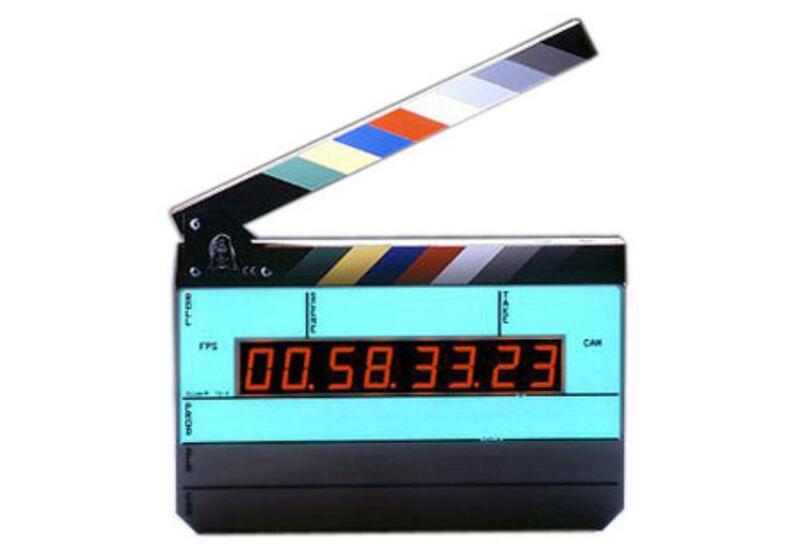 This time code slate is ideal for any video production set, large or small. This time code slate has only 1 native port - 1/4" jack out. To sync with other devices, you will need to a 1/4" jack in cable, such as the 12" BNC to 1/4" Jack Time Code Adapter Cable, which is included with this rental. It can then be daisy-chained with other BNC cables, such as the 18" BNC to 4-Pin Lemo Time Code Adapter Cable, which is NOT included. Please note that for daisy-chaining BNC cables, you will need a Female BNC to Female BNC Connector to go between them, which we provide in this rental. This time code slate accepts (6) AA batteries, which may not be included.